In today’s corporate landscape, employee retention is more vital and more challenging than ever before. Especially since the emergence of a trend, particularly amongst millennials, called job-hopping. It’s exactly what it sounds like: the younger generation is moving from job to job at a much more frequent rate than in previous generations. In fact, studies have shown that six in 10 millennials are open to new job opportunities. While these may seem like daunting numbers, there are a few simple ways to combat this cultural phenomenon. Some of the main factors involve just showing some effort on your part as an organization: pay them, promote them, appreciate them. Little things can make a difference in the decision to stay or go. Feeling appreciation and positive attention from upper-level management can be a huge influence for employees considering switching jobs. Giving them the tools they need to succeed encourages them to want to continue to succeed with you. With that in mind, Staples Promotional Products presents a solution: gift kits for every important event within your company, assembled and organized in the all-encompassing Corporate Gifting Guide. The Corporate Gifting Guide is an interactive collection of unique gift sets for any noteworthy organizational occasion. Whether you’re welcoming new hires with a kit of workplace essentials or celebrating milestone anniversaries with quality, branded products, the Corporate Gifting Guide has it all. Mark every milestone and significant company moment with creative, branded gift sets tailored to your needs and watch your employee retention rates and brand impressions soar. 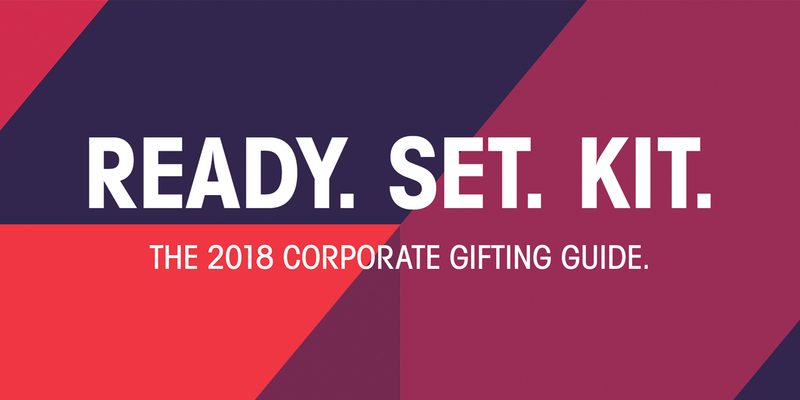 No matter what essential event you’re shopping for, the Corporate Gifting Guide has you covered for all your gift kitting needs. Explore gift kits for new hires, celebrations or thanks in the Corporate Gift Guide.